As I tweeted yesterday morning, I’ve decided to give myself another personal weight loss challenge. 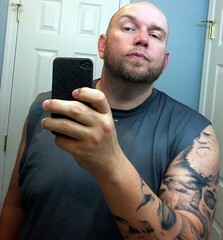 I’ve decided that I won’t shave my facial hair until I’ve reached 260 lbs. That’s 15 lbs from my current weight.